POSH-FIT STUDIO strives to provide quality dance instruction while adhering to proper body mechanics to prevent injury. We cultivate a safe and encouraging environment promoting a positive self image inside and out. 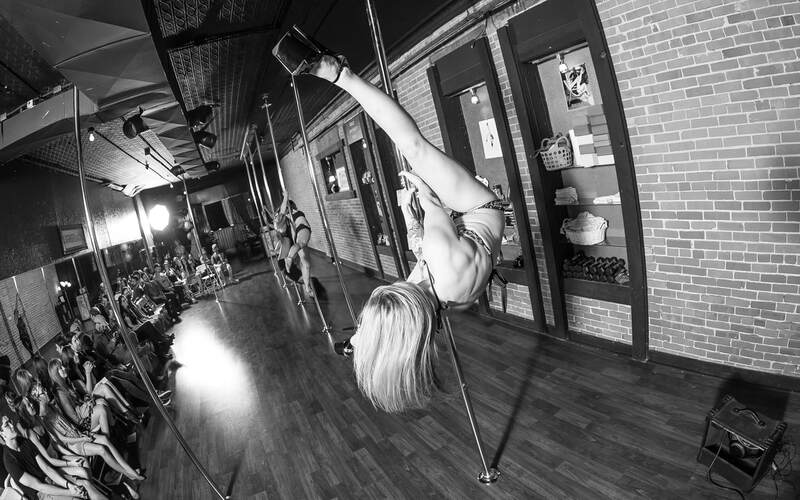 Our instructors encourage a greater sense of physical freedom through strength and flexibility. Our team celebrates the beauty and diversity that every woman possesses. Last but not least, we are here to have FUN and to enjoy a sense of unity with other like-minded women. "I cannot rave enough about what Posh-Fit has done for me. I look forward to the positive atmosphere it provides. Every time I achieve a new move, it gives me a s﻿ense of pride. The ladies you meet here are encouraging and everyone wants to see you succeed. "This place is so amazing, love the workout and the instructors!" "Had the best time. The owner and instructor were great! Definitely going back for some more!" "LOVE LOVE LOVE everything about this place, the instructors, the atmosphere and how great I feel afterwards. I definitely noticed a difference in the tone of my body in a short amount of time. This is something I have never gotten from other exercise classes or workouts. It forces me to get out there and set new goals for myself."